2018 was a year for the books for Ventana in Fort Worth! From the grand opening of our Amenity Center to the first homeowners moving in and our growing lifestyle program, Ventana celebrated a number of milestones this year. Today on the blog, we’re reflecting on our progress and what’s in store for 2019. Ventana’s 2,400-square-foot Amenity Center opened this summer. 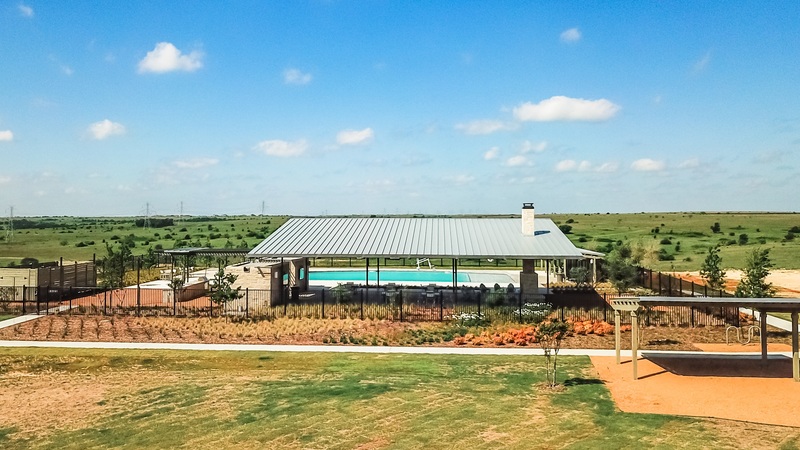 Featuring an open-air pavilion, resort-style pool, grills, TVs, family dining areas, an event lawn and outdoor fireplace, our Amenity Center serves as the heartbeat of the community. Once the Ventana Amenity Center was ready to use, our community manager, Brandy Adams, organized fun events to bring new neighbors together. Our events this year included pool parties, a wild about wildlife event with the Fort Worth Nature Center, a free workout class with Dean’s Garage Fitness, Halloween festivities with Lennar Homes, a football tailgating party and photos with Santa. We can’t wait for all the fun events planned next year in Ventana! In the spring, we announced Lennar Homes merged with CalAtlantic Homes and joined David Weekley Homes and Dunhill Homes in building new homes in Ventana. This year, Lennar built a new model home and also introduced new floorplans in Ventana, including their Wi-Fi certified homes that emphasize integrated home automation technology. Dunhill Homes and David Weekley Homes welcomed even more homeowners and families to their homes in Ventana in 2018, and were fabulous supporters of our community events. Dunhill Homes and David Weekley Homes sponsored our No Tailgate-Tailgate Cowboys game watch party, providing drinks and tickets to a Cowboys game. We are thrilled to have great partnerships with our builders in Ventana. Ventana’s developers are hard at work on expanding amenities in our community next year. Stay tuned for updates on Ventana’s Facebook and Instagram pages. Ventana wishes you and your family happy holidays and a wonderful New Year! If you’re in the market for a new home in Fort Worth in 2019, visit our community located at 5500 Ventana Parkway in Fort Worth. Featuring new homes from the upper $200s, outstanding community amenities and a coveted location convenient to downtown, Ventana showcases the master-planned lifestyle you’ve been searching for in Fort Worth. Contact us today for more information about new homes in Ventana and our amenities. © 2019 Ventana | All Rights Reserved.